Fairy Wand Quartz is a uniquely formed type of Quartz found in Mexico. It has hexagonal crystal systems throughout that seem to stack on top of one another in a “wand” like fashion. Each crystal is stacked upon another hexagonal structure forming what appears to be tower or even cathedral-looking points. Almost all of these stones contain a very different formation of crystals and can range in color from clear and milky hues to a smoky colored quartz. Appearance-wise, this stone is something you would expect to see in the fairy realm or in a luminescent tree that houses plenty of nature spirits. It’s luminescent sparkles create a glittered stone that reminds one of pixie dust. That being said, this stone is exactly what one needs when working toward inter dimensional travel or communication with higher, benevolent beings. Fairy Wand Quartz will allow one to open the lines of communication with nature itself. Fairy Wand Quartz aids one powerfully in accessing the fairy realm. Taking this stone out in nature will allow one to hear the faint whispers of Mother Earth and it’s magical fairy protectors. This realm is nearly identical to earth but contains beautiful landscapes and luminescent energies. This realm is devoted toward the nurturing and embracing of earths incredible beauty and protecting its magic. These incredible beings seem to resonate nicely with Fairy Wand Quartz. With loving intentions, a piece of this stone and respect for nature, one will easily be able to communicate with these benevolent nature beings. Meditating with Fairy Wand Quartz, especially whilst in nature, will aid one in traveling to a multitude of dimensions. This stone will also allow one to achieve a state of focused relaxation while in a meditative state. Be sure to bring a piece along with you any time you are outdoors and pay close attention to the behaviors of insects, birds and other creatures that surround you. This stone allows one to feel the pure benevolence, gentleness and love emulating from nature. It reminds us that nature wants nothing more than to love us and to nurture the magic of our planet. 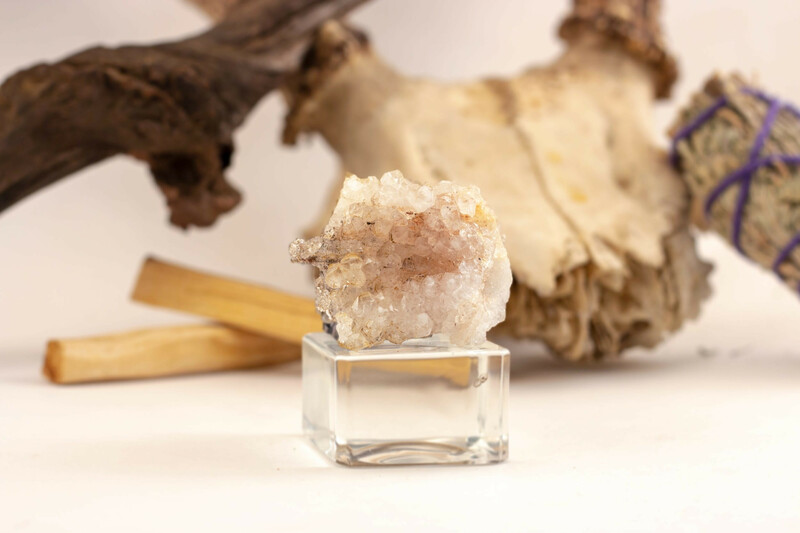 Fairy Wand Quartz offers profound enhancement of the third eye’s sight and will stimulate visionary consciousness in those within the stone’s frequency range. Channeling energy, messages or knowledge from the higher realms becomes possible whilst working with this stone. Try bringing Fairy Wand Quartz out into nature at dawn or dusk for increased attunement with Faerie. When placed on the third eye chakra, this stone sends slow waves of luminescent energy through all chakras. Unlike other stones of this kind, Fairy Wand Quartz provides gentle vibrations that provide for a more gradual transition into the higher realms. This energy can best be described as a gentle yet powerful rush that instantly stimulates the third eye and opens the crown and etheric chakras. One will notice almost instantly that this stone stimulates pure creativity in all of us. This stone is perfect for somebody who would like to reconnect with their inner-child and access the genius of creativity that lies deep within the mind and heart. With the powerful stimulation of the third eye, this stone takes creativity to the next level, even allowing the crown chakra to bring in more information and unique ideas. Fairy Wand Quartz is an artist’s stone. Artist’s working with this stone should bring their creations to be done outdoors to enhance this creative property. Carrying a piece of Fairy Wand Quartz throughout ones day inspires a sense of sweetness, gentleness and inner peace. It works to eliminate any stresses or frustrations associated with physical life, work and the World Of Form. This stone allows the release of these stresses because of its direct connection to a realm where stress does not exist, only joy and magic. Try pairing Fairy Wand Quartz with Prehnite for enhanced connection with non physical beings or with Labradorite for enhancing the magical properties of the stone.